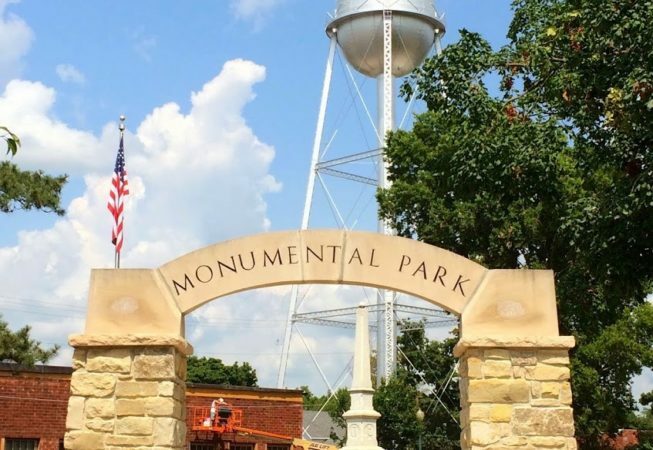 This monument, dedicated on October 17, 1867, was one of the earliest Civil War monuments erected in Iowa. It is a 14 foot marble monument on a 5 foot limestone base. There are inscriptions on the four sides. The cannons, included in 1878, are six-pounder bronze field guns, M1841, painted black. Two were made at Ames Manufacturing Co. – one in 1855 and one in 1861. Another was cast at Cyrus Alger & Co. in 1861. The fourth is from William D. Marshall & Co., cast in 1862. The cannons and carriages are in excellent condition. 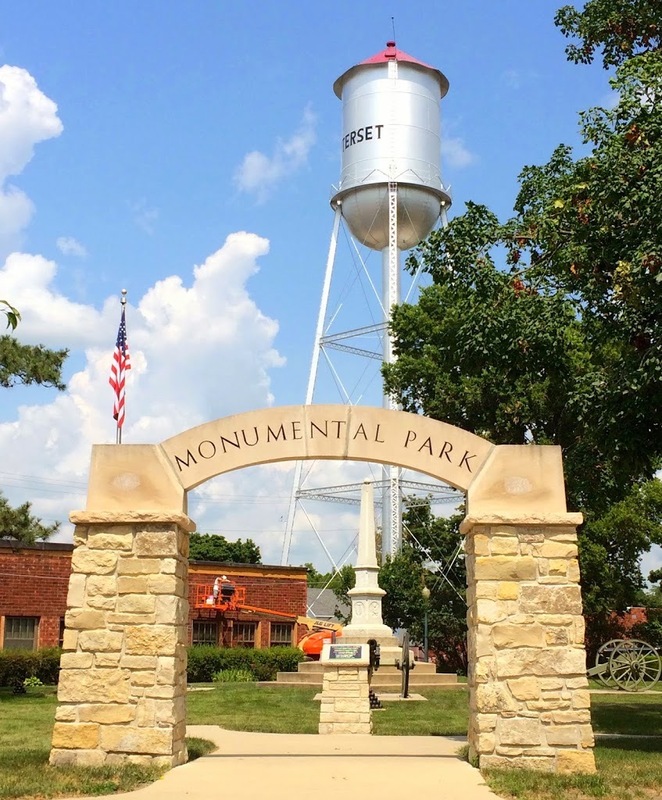 Monumental Park is one block east of the Town Square in Winterset on Court Ave.